I read with great interest the article in the Ledger-Transcript regarding your new book, The Baby Boom. From the “courtesy photo” I can tell you, I have met Milly, though not you. I am a neighbor from West Road. I came upon her on my way home from work in Peterborough the other night. My current infatuation is with exotic oils and vinegars. I think it would be cheaper to have a crack habit, but certainly not as healthy. If you haven’t been to the Monadnock Oil and Vinegar tasting room I highly recommend a visit. Sorry, I digress. As I rounded the first curve coming up Temple Road, Milly was headed straight toward me. It was still very cold and she just looked scared and guilty. She wouldn’t let me near her, but she would follow my truck, when we got to your driveway I took a chance and pulled in. She became incensed that I would trespass so I knew it was home for her. I’ve planned a cooking demo at the store for April 12. Knowing you will be at the Toad is sad, because I would really love to hear you and meet Milly’s dad. The good news is, you will have people coming to town, the Toad will be jammed and you wouldn’t notice me anyway. Also, I can now time exactly when the cooking demo/tasting will get insanely busy; before and after you speak! Since you will no doubt want escape back to our side of the mountain, you will not make it to the store that day. I figured a tasting sampler of the recipes and ingredients might entice you and your bride to drop in on another day. Fast forward to Saturday morning. I’m up early crazed with details I need to attend to before the cooking demo. Can’t attend P.J.’s book signing but Wilson offers to fill in for me and get a signed copy. Wilson caught up with P.J., with whom he has had a relationship over the years that will remain mysteriously untold, and offered a copy of the book while asking for a signature for his neighbor, Martha Schaefer. “Already sent her a copy, the vinegar lady, right?” quipped Mr. O’Rourke. A gentle man came into the store at the height of the cooking demo on Saturday. He was just one of those people with a “presence”. They are either artists or politicians, sadly, the politicians wield their presence for personal goals. I saw him talking to Chef Joe but never made it across the sea of customers to greet him, and when I next looked he was gone. Later, I picked up “Son Of The Circus” by John Irving to end my day. I glanced at the photo in the back. He has always been my personal “Hemingway.” I don’t idolize him like a rock star, I admire him as a supreme being, of the written word. As Sting is the supreme being of song in my life, well, ok, maybe slightly to the left of Boz Scaggs. My Hemingway passed so close and I never got more than a look. 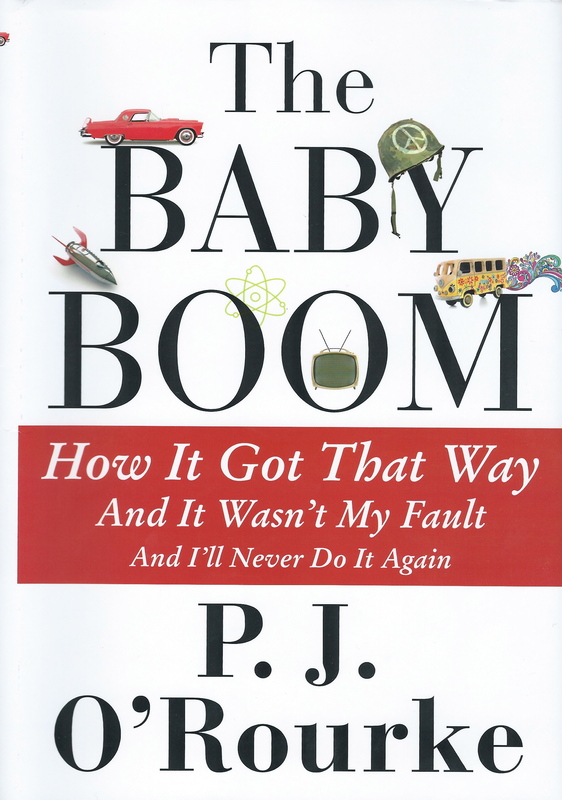 Tuesday morning I received my signed copy of The Baby Boom, with a wonderful note, thanking me for “…kindness to our dog and our tastebuds…” OK, a true human here, versus the giant ego I spent time and money meeting at her book signing back here. I’ve only just begun the book but so far it is wonderful. This entry was posted in memoir. Tagged John Irving, Monadnock Oil & Vinegar Company, P J O'Rourke, Peterborough NH, The Toadstool Bookstore. Glad you got your signed copy but what a shame you missed meeting your hero. What a fantastic story. And tragic to boot, but with some a lovely ending. It’s hard not to feel like you won out in the end.